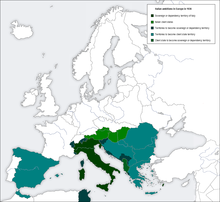 Fascist Italy aimed to carve out a new Roman Empire, while British forces aimed initially to retain the status quo. Italy unsuccessfully invaded Greece, and not until the introduction of German forces were Greece and Yugoslavia overrun. 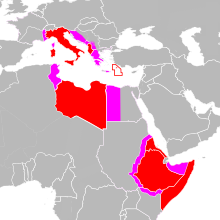 Allied and Axis forces engaged in back and forth fighting across North Africa, with Axis interference in the Middle East causing fighting to spread there. With confidence high from early gains, German forces planned elaborate attacks to be launched to capture the Middle East and then to possibly attack the southern border of the Soviet Union. However, following three years of fighting, Axis forces were defeated in North Africa and their interference in the Middle East was halted. Allied forces then commenced an invasion of Southern Europe, resulting in the Italians deposing Mussolini and joining the Allies. A prolonged battle for Italy took place between Allied and German forces. As the strategic situation changed in south-east Europe, British troops returned to Greece. In April 1941, Germans, Italians, Hungarians and Bulgarians made quick work of the Royal Yugoslav army. They captured Yugoslavia in 11 days and partitioned it among themselves and newly formed client states: The Independent State of Croatia and Nedić's Serbia. A complex guerilla uprising of communist-led Partisans, commanded by Josip Broz Tito, soon broke out. A more ambivalent, predominantly Serb paramilitary movement of royalist Chetniks both fought the occupying forces and collaborated with them against the communists. 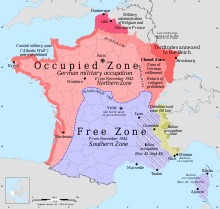 The Partisans eventually gained recognition from the Allies as the sole resistance movement. With help from both the Soviets and the Western Allies, they turned into a formidable fighting force and successfully liberated the country.